Crewe News: MP’s 164th news bulletin. This month the government launched its productivity plan. Called 'Fixing the Foundations: Creating a more prosperous nation', it sets out to do what it says on the tin. It is designed to ensure that we have the growth in productivity necessary to deliver rising living standards and provide a better quality of life for people here in Crewe and Nantwich and across the country. Growth comes either from more employment, or higher productivity. We were exceptionally successful in the last Parliament at increasing employment. Unemployment fell in Crewe and Nantwich in that time by an astonishing 58 per cent, and this has been a major source of growth. But over the longer term it is essential that we achieve higher productivity. The UK has a long-term productivity problem, which has been made worse by the financial crisis. If the UK could match the productivity of the USA, our national output would rise by 31 per cent: around £21,000 a year for every household in the UK. I believe that this is a prize worth striving for. The drivers of productivity are well understood: a dynamic, open, enterprising economy supported by long-term public and private investment in infrastructure, skills and science. Here in Crewe and Nantwich we are playing our part in that. I have fought hard for serious investment in infrastructure across road, rail and public services. The Basford West spine road will open later this month as the latest example. Cheshire East Council have been focussing heavily on science in the north of the borough, and, where we are in the south, on promoting engineering. Also local skills and training for work have never been more important: locally we have seen record apprenticeship numbers, a new University Technical College soon to open, and the new Rail Exchange Training Academy to boot. A nation flourishes when it uses the full skills of all its people in all parts of the nation. The challenge has not been to understand what to do; the challenge has been to be bold enough as a country to take the difficult decisions required. This Government is determined that Britain does take these decisions. That is the only way to ensure rising living standards and a better quality of life for our citizens. It is a major part of delivering our ambition that Britain becomes the richest of all the major economies by 2030, fuelled by full employment. 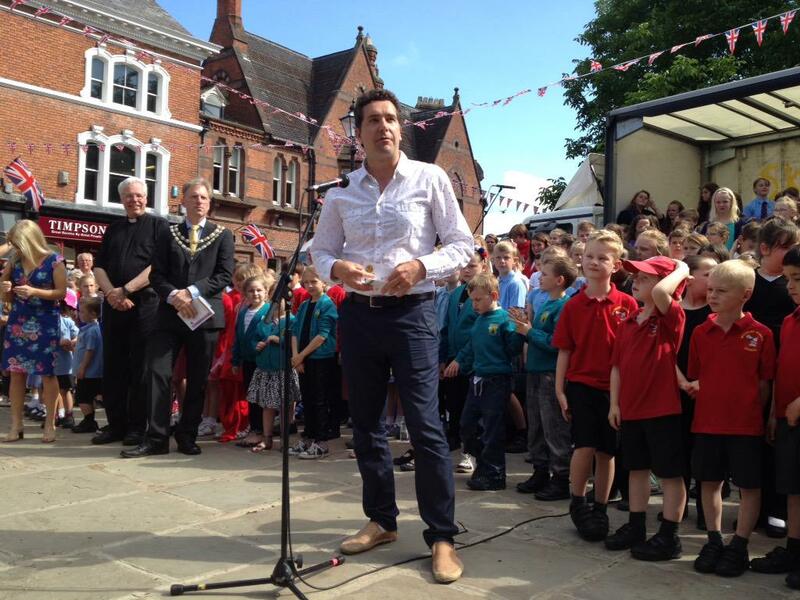 I'm proud to have opened the SkoolzFest Big Sing at the Nantwich fete, as patron. Congratulations to all of the children who took part! Visited the out-of-hours GP service at Leighton Hospital, to see at first hand how the service is helping patients outside of normal office hours. Opened the 'Big Sing' at Nantwich Skoolzfest, part of the very successful fete this year. Met together with the headteachers of Crewe primary schools, to talk about the issues facing local schools as we go towards a new academic year, and to help represent their views to the Government. Spoken with Janet Haddock-Fraser, the newly appointed Provost at MMU Cheshire's Crewe campus. Held two of my regular constituency advice surgeries. Open until the end of July is Cheshire East Council’s consultation on the future regeneration of Crewe town centre. 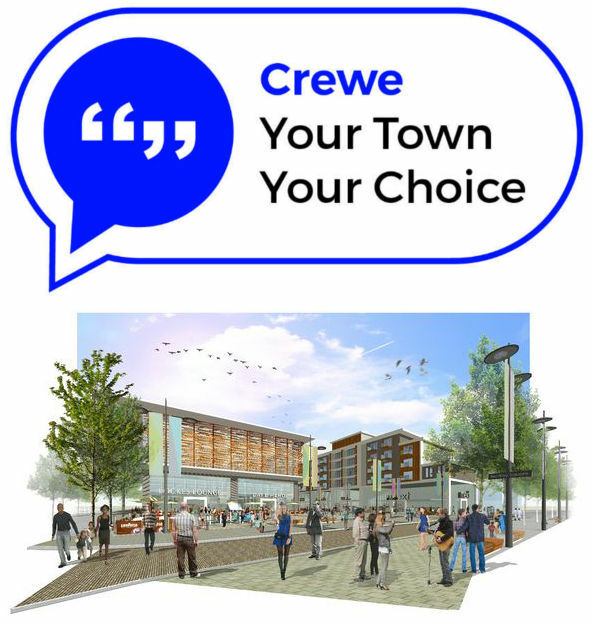 This is an important chance for all residents and users of the town centre to have your say on the Council’s plans for Crewe, and to contribute ideas of your own. You can read what the Crewe Chronicle has to say about the consultation, or read the Council’s regeneration plans in full and complete an online version of the questionnaire. There is a supply of paper copies of the consultation available at my office on Victoria Street, so please feel free to drop by and pick one up. Don’t forget to have your say by the end of the month!